It is accepted by nearly all scholars that the first Americans originated in Northeast Asia. There is a 99% DNA match for women, 90% match for men for Asian ancestry. “Genetic research, particularly that using mitochondrial and Y chromosome markers, provide quite emphatic refutation of any such relationship between Jews and Native Americans” (Dr. David Glenn Smith/U.C.-Davis molecular anthropologist, Sunstone Symposium, 2002). 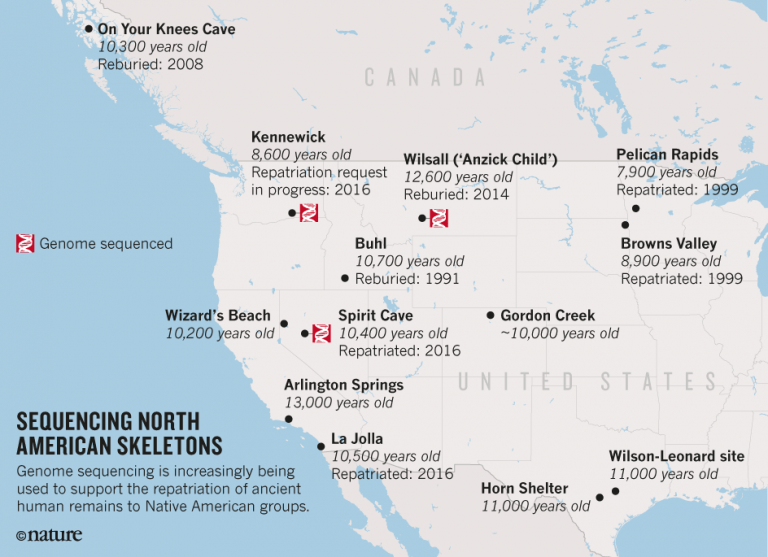 What is desired from an archaeological standpoint is to have the actual ancient remains themselves genetically sequenced, rather than working backward from the DNA of modern populations. Such methods confirm the actual DNA of the ancient population. The Lenba are a group of 80,000 South Africans who claim Jewish heritage, practice many Jewish rituals, and claimed to be descended from small group of Middle Eastern men (perhaps as small as seven) who migrated to South East Africa 2,500 years ago and intermarried with the local women. Modern science backs their claim. More than 50% of the Lemba Y-chromosomes are West Asian in origin. The DNA evidence suggests a migration date between 2,670 and 3,200 years ago, not far from their claim of 2,500. A study in 2000 found that a substantial number of Lemba men carry a particular haplotype of the Y-chromosome known as the Cohen modal haplotype (CMH), as well as a haplogroup of Y-DNA Haplogroup J found among some Jews, but also in other populations across the Middle East and Arabia. The genetic studies have found no Semitic female contribution to the Lemba gene pool. This indicates that Israelite men migrated to Africa in ancient times and took wives from among the local people while settling in new communities, just as their origin story suggests. The similarities to the Book of Mormon premise are striking. Taking for granted that the Book of Mormon people existed in history, the migrations took place at the same time, the groups were of similar size, both had Israelite DNA, and likely intermarried with the locals. The big difference – abundant DNA evidence vs. no DNA evidence, and preserved Jewish culture and ritual vs. no preservation of Jewish culture or ritual. Q: Is the Church’s position on DNA’s fallibility and uncertainty credible? Does a single non-Mormon geneticist support the narrative? Q: Even if the Lamanites were merely “among” the major inhabitants, despite specific references to the contrary in Book of Mormon, would not the scope of their vast civilizations contribute significant Hebrew DNA to the surviving population?